Ask the team at Nathan’s Roofing, Windows & Siding where their business “sweet spot” is and they’ll quickly cite Valoré Slate roofing tiles as a key to their company’s roofing success. The family-owned company completed more than 20 roofing jobs in Henrico County, Virginia during the last two years by offering polymer for new construction and replacement projects. “The quality and authenticity of this DaVinci Roofscapes product matched with its affordability has allowed us to carve out a successful business niche in our area,” says Nathan Barbuto, Jr., owner and president of Nathan’s Roofing, Windows & Siding out of Glen Allen, Va. “This product has helped increase our sales while providing homeowners with a premium impact-resistant roof that helps protect their home from severe weather. 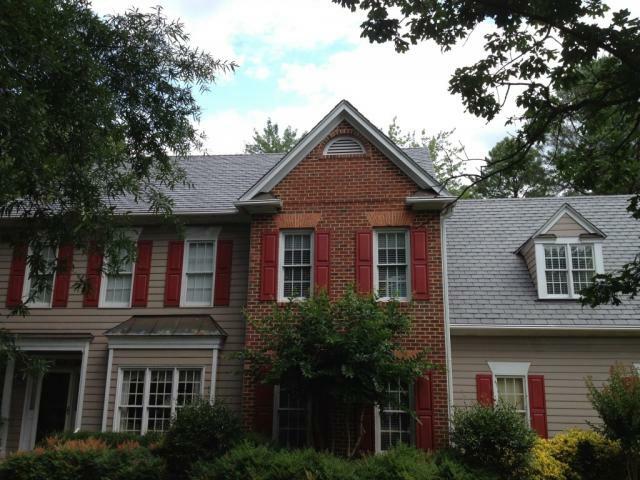 In business since 1991 with his wife Debbie as a partner, Barbuto and his company does many of its Valoré Slate synthetic slate roof tile installations in medium- to high-end subdivisions in western Henrico County. Modeled to replicate slate tiles, Valoré Slate single-width roofing tiles are crafted using 100 percent pure virgin resins to provide a sustainable product. The 12-inch wide tiles have a half-inch thickness that is twice the thickness of most other synthetic slates. As with all DaVinci products, Valoré Slate tiles resist fire, curling, cracking, fading, mold, algae, fungus and insects. Valoré Slate polymer roofing tiles are available in the full spectrum of 49 authentic colors. Valoré utilizes DaVinci’s proprietary VariBlend technology to form varying shades from tile to tile creating an infinite number of color shades. Each Valoré Slate blend melds multiple color tones to create a natural variance in color, enhancing the realistic appearance and fits beautifully with its surroundings. Valoré tiles are also available in EcoBlend cool roof colors, which help reduce heating and cooling costs and meet LEED-NC and are ENERGY STAR® qualified. For more details on Valoré Slate products, click here.